Why Do Drop Shipping Businesses Fail? And well, I can’t guarantee that at all and you shouldn't trust anyone who says they can. 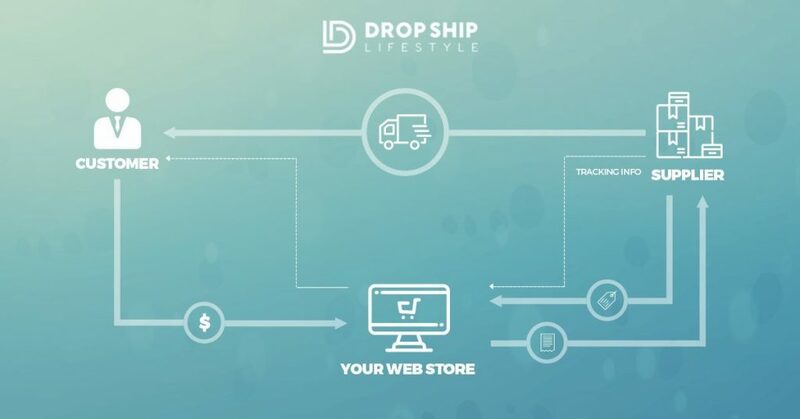 The truth is, there’s a lot of reasons why you could ‘fail’ at drop shipping. 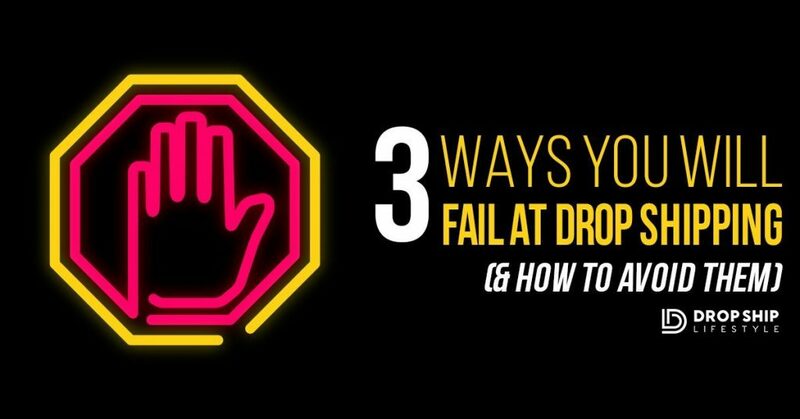 That’s why in this blog post I’m going to cover the three biggest reasons why people fail at drop shipping. Honestly, if you fall into any the below categories, I can guarantee you are going to fail at drop shipping. When you compare going the traditional route by building an offline, brick and mortar store with building an online business, it’s easy to see why eCommerce is so amazing. For example, let’s say you want to sell coffee mugs and you set up a store in your hometown. First, you have to put down money, find a place to lease, build out a store, hire employees. You’re easily looking at spending $100k - $200k to get everything set up before you make your first sell. eCommerce on the other is much cheaper, like $29 to build a website and make your first sale. That’s why eCommerce is so amazing; because it’s a lot cheaper to get started online and you can reach and sell to so many more people. And the truth is, that’s not how it works. Not even close. It is a real business, and you have to treat it like one. Yes, there is a startup cost involved that is much less than that of a traditional offline business, but it still takes the work. The benefits of going the drop shipping route doesn’t stop at the start-up costs. You also have the opportunity to make a lot more money while working fewer hours than the traditional business owner. So take your business seriously, because again, it is not a hobby. Treat it like a real business and you can make a lot of money drop shipping. The second common way I see people fail at drop shipping all the time is if they don’t believe in themselves. If you don’t believe in yourself, not just with drop shipping, you’re going to fail. I’m not even talking about Drop Ship Lifestyle, I’m talking about mindset! 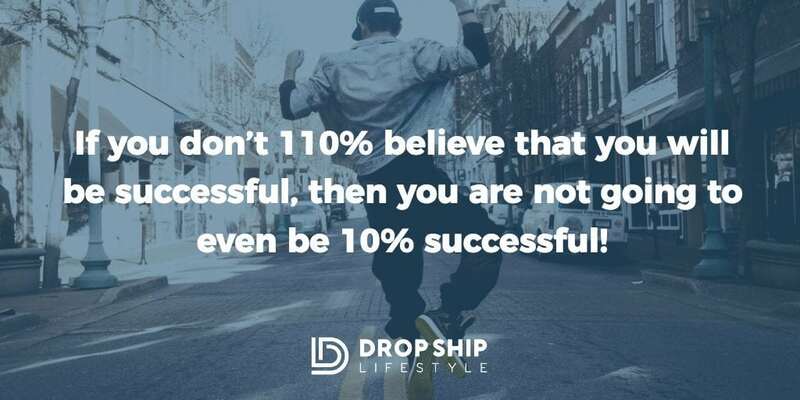 When you sit down at the computer to get started, if you don’t 110% believe that you will be successful, then you are not going to be even 10% successful. If you don’t believe in yourself and the work that you are putting in, that’s going to lead to results, then it’s not going to. And you know, this isn’t like some law of attraction, secret to happiness type of thing. It’s just textbook Mindset 101. If in your mind, you don’t believe that the work and the time you are putting into this business will lead to a future reward, it won’t. So don’t get started, or invest into any of my coaching programs. Don’t sign up for Shopify, and don’t even think about starting a business until you believe and know that it will work for you 100%. If you are not there yet, it doesn’t mean you never will be. My advice would be, if you don’t know if you can do this or you don’t believe in yourself, go to YouTube channels like ours and watch our previous students’ success stories. We have plenty of videos that will get you familiar with how this business works. And I’m sure that will help you to build up the confidence in yourself that you need to succeed. Then, pretty soon you’ll be ready to go all in to get started and build something that can be turned into a success story. The third way people fail is one I see happen all the time. It’s when people listen to “experts” who have no idea what they’re talking about. And I’m not going to call anyone out, but I will say that there are a lot of people in the ‘online mentoring space’ who don’t care at all about their students’ results. A lot of those phony experts lack all teaching skills and are only really good at selling their programs or tickets to their live events. Even worse, some of these people don’t even know what they teach! That person is just not an effective teacher. It’s very possible that the person you want to learn from is very good at what they do, but do they know how to teach it? 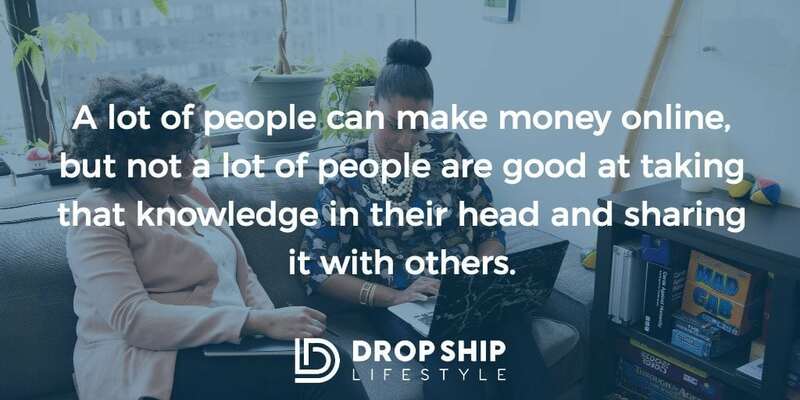 A lot of people can make money online, but not a lot of people are good at taking that knowledge in their head and sharing it with others. The way you could check for this is to look at these people’s success stories. If someone is a mentor or has an online training program, look to see the results their students are getting. Look for the case studies and interviews. Use whatever you can find because if that person that’s going to teach you has a successful track record and it doesn’t work for you, it might be a “you” problem. And maybe you’re still treating it as a hobby or not believing in your own success! It’s a common question that I hear often, but I can’t guarantee you’ll be successful. The only thing I can guarantee, is how you will fail and that’s if you fall into any of three categories above. Don’t treat it like a hobby! Hi loved the article I am just reaching out to you because I really am at the end of my rope. Have kids to take care of and no income, no education and no job..I seriously do not know what to do with my life at this point This is my first ray of hope in a while. is there a chance I can really make a life for my kids with my own business or not really? This is a good piece. I appreciate the fact that failure is certain if one does not treat drop shipping as a hobby. I don’t have a website yet, but I need to make serious money. So a hobby isn’t an option for me. Hi Kathy, That’s exactly the type of mindset that you’ll need to make this work! I Think I know of one person you may be refferring to. Hi Anton, these’re really strong points here, especially treating dropshiping as a hobby, I am a victim. I’m glad I found this, am not going headed to failure anymore. Happy to share Daniel. And I wish you all the best on your journey! Well said, Theirry! Investing in yourself is the best move you can make as an entrepreneur.